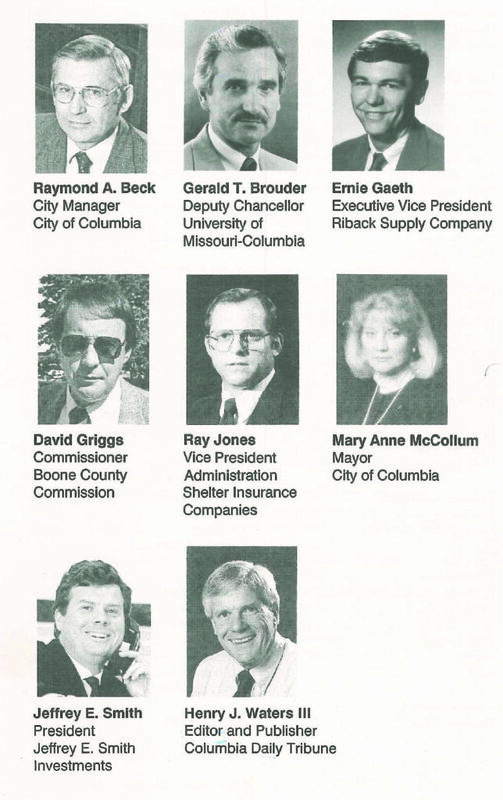 REDI Celebrates 30 Years of Collaboration – REDI | Regional Economic Development Inc.
Thirty years ago, on March 14, 1988, the State of Missouri incorporated Regional Economic Development Inc., REDI. REDI’s mission set forth then, which continues today, is to provide increased economic opportunities while maintaining its superior quality of life for our community. REDI’s primary role was set to recruit new businesses, assist existing business with retention and expansion, and assist new business startups. REDI remains true to these early roots, as reflected in its recent years’ work and in its tagline: Attract. Expand. Grow. 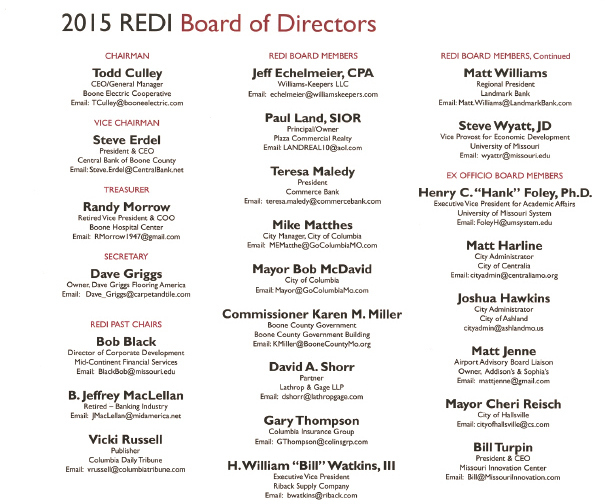 REDI is a non-profit organization. The true essence of REDI is its strong collaboration of many entities across the community. The City of Columbia provides REDI’s staff, and investments from the City, Boone County, the University of Missouri, and a wide variety of local businesses provide REDI’s operating funds. The purpose of the collaboration is to coordinate the area’s economic development activities, sharing resources to increase the chances of success, and prevent competition between local entities for projects that benefit the community as a whole. REDI assists businesses in Columbia and throughout the county in ways big and small. Residents might know of REDI through media coverage of large projects to which REDI lends assistance. But equally important is the everyday assistance REDI offers: helping businesses find available space, helping employers and educators work together to equip students with skills employers are seeking, connecting businesses to state programs that help with employee training or aid in expansion; providing co-working space for a startup, or helping an entrepreneur find a mentor. These are among the myriad of services that provide widespread support to our community businesses and provide our community and its residents with a stable economic base. Last fall, REDI was accredited by the International Economic Development Council. The accreditation process involved a document review and site visit by the IEDC to study REDI’s mission, goals, structure, funding, programs, activities, partners, stakeholders, and community support. 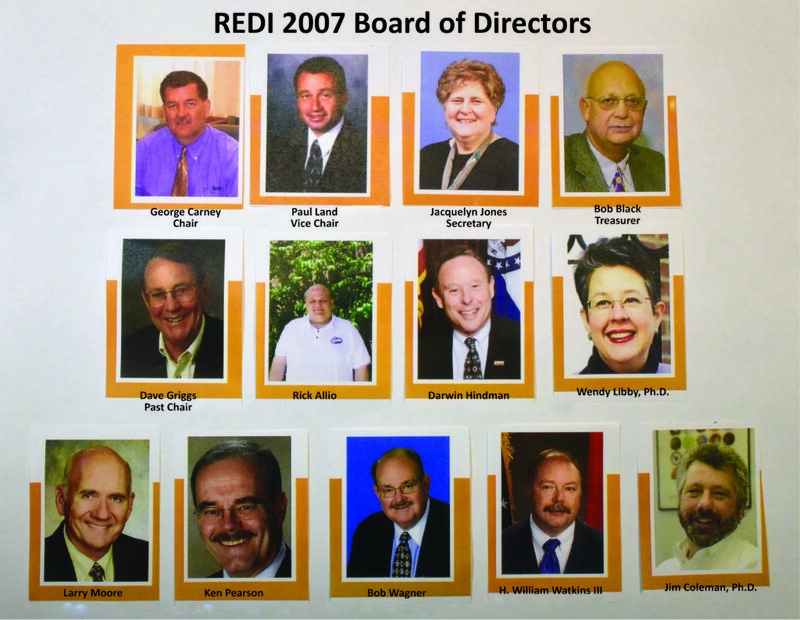 A unanimous vote of the IEDC’s accreditation committee, consisting Certified Economic Developers from around the globe, awarded REDI Accredited Economic Development Organization status. The reviewers who visited REDI stated they were overwhelmingly impressed with the strong and broad support of REDI from the community. For the next several months, REDI will celebrate this milestone by highlighting a year of REDI’s history each week on its website and in its online Newslinks publication. The REDI collaboration would like to thank the more than 200 local businesses that have provided financial support over the past 30 years, and the countless others who have provided support in so many additional ways. REDI holds dear the trust the community has placed in it, and strives every day to offer programs and results that improve the economic standing of every Columbia and Boone County resident. 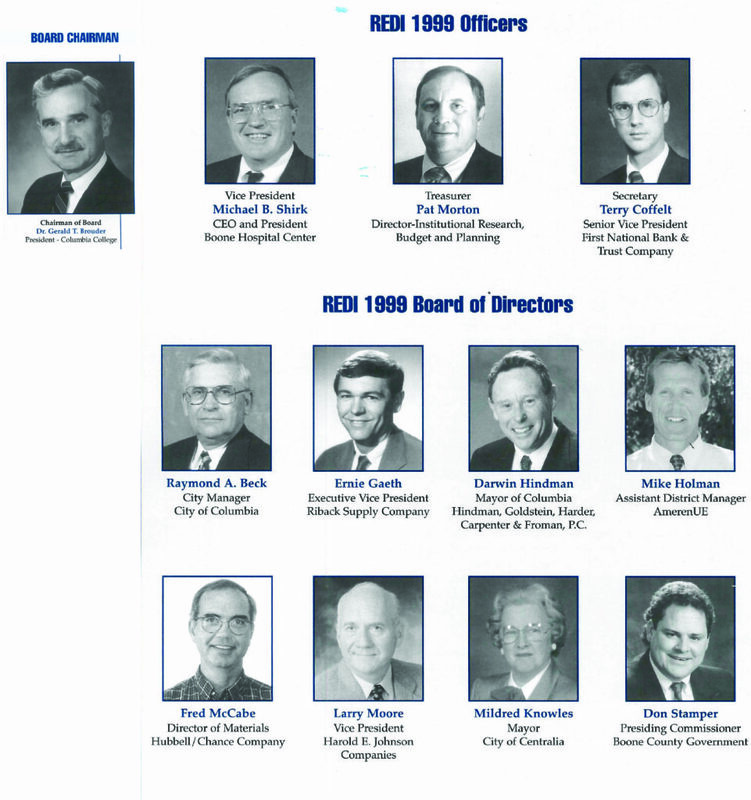 In 1988, REDI was incorporated by the State of Missouri. 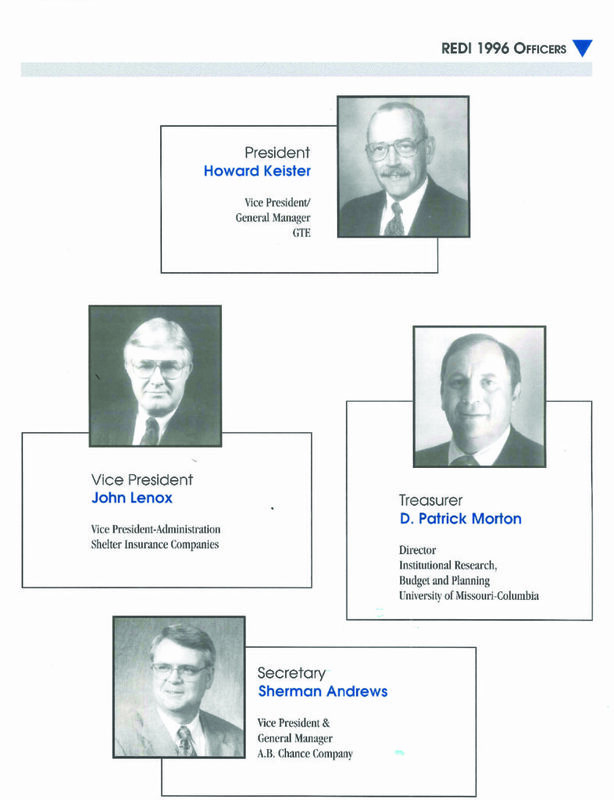 The first members of the Board of Directors were named in the Articles of Incorporation. 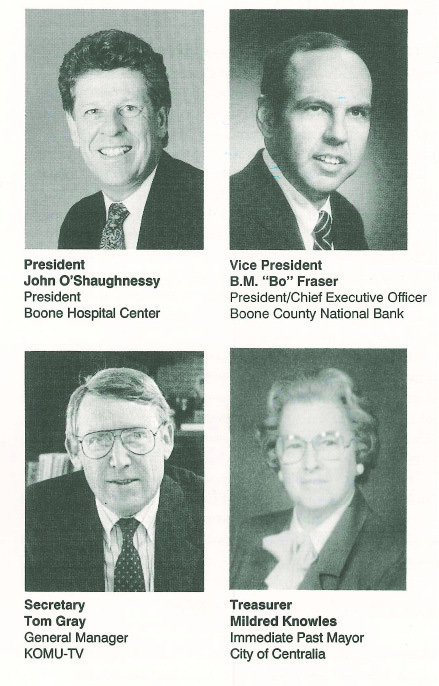 Mary Anne McCollum, Raymond A. Beck, Ernest K. Gaeth, Thomas R. Gray, and David A. Horner were the first class A directors, two representing the city, two representing the chamber, and one representing the county. At their first meeting in April 1988, Ernie Gaeth was appointed the first and temporary president. Also at that meeting, bylaws were adopted. The bylaws called for an eleven member Board of Directors, including the five class A investors, and an additional six Class B investors, three elected by Class A investors, and three elected by the Class B investors. REDI will seek to provide increased economic opportunities for Columbia/Boone County and mid-Missouri while maintaining a superior quality of life. REDI will act as a catalyst for new business recruitment, existing business retention and expansion, and new business start-ups in Columbia Boone County. Soon after, the REDI Board hired William H. (Bill) Watkins, III as REDI executive vice president. Watkins served as REDI EVP until he became Columbia’s City Manager. He currently serves on REDI’s Board of Directors. REDI’s first task, as outlined in its Economic Development Agreement with the city and REDI’s stakeholders, was to create an Economic Development Master Plan. Continue Columbia/Boone County’s progressive economic growth while directing and balancing that growth with community values and aspirations. Continue to promote a balanced diversification through recruitment of new businesses, expansion of existing quality businesses, and providing a supportive atmosphere for new business ventures. In other words: Attract, Expand and Grow. Favorable conditions noted in the plan also still continue today: Well trained and educated workforce; high quality of life; increasing population; low unemployment rate. Eleven key actions items for REDI to focus were outlined in the plan. 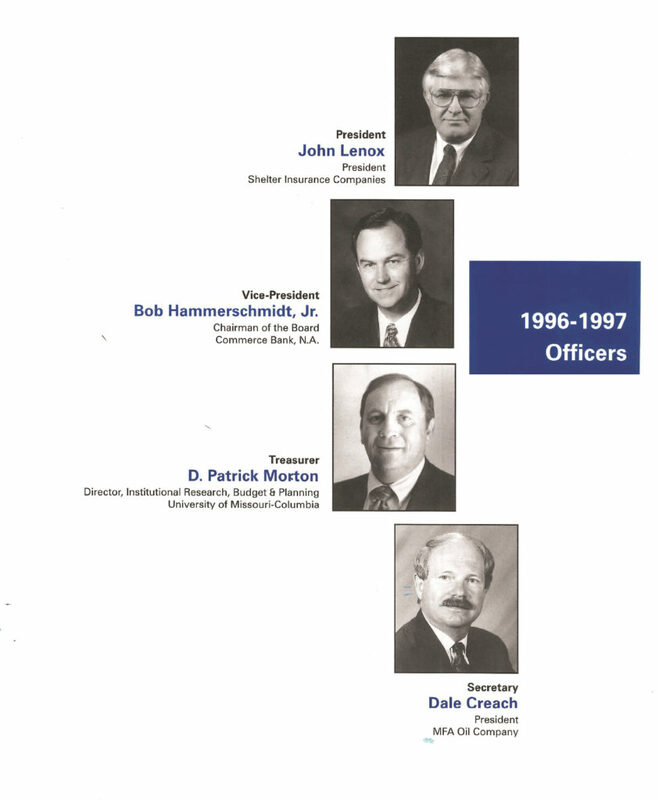 University of Missouri – promotion and development of the MU research park; promotion of the MU incubator. Targeted industry analysis – resulting list includes food processing; printing and publishing; biologics and pharmaceuticals; plastics; motor vehicles; distribution; scientific medical instruments and medical apparatus. These industries determined in 1988/89 are reflected in many companies located and expanded in Columbia/Boone County in the past 30 years and still sought today. REDI launched its first marketing and advertising campaign, Columbia, Missouri, Where opportunity is a way of life. Another marketing piece was a fishing kit with the tagline “Fishing for the right business location?” Other pieces included a quality of life brochure. Michele Holmes joined the staff as executive secretary. Michele spent 25 years with REDI, retiring in 2015. The University of Missouri joined REDI as a Class A investor, having been very active class B investor the previous years. 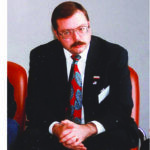 Gerald Brouder was added to the Board to represent the University. REDI marketed to statewide and international markets. REDI began a Weekend Warrior program that brought executives from across the state to Columbia for events showcasing the area and to attend MU football games. 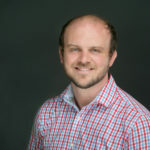 REDI named Rick McDowell as REDI’s marketing director, to manage marketing activities and participate in national trade shows. In 1991, REDI’s investors’ three year commitments end, and all investors renewed their commitment. An unofficial trial period ends and REDI successfully moves forward with an increased roster of 53 investors. 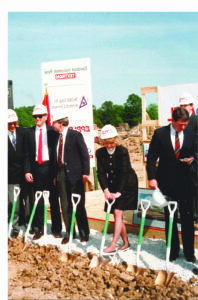 REDI announced in November 1991 that Davidson Instrument Panel, a division of Textron, would build a new manufacturing facility on Waco Road. The facility planned to initially create 150 jobs, and hit a peak of 400 employees in 1997. Airborne Express announced it would open a new Columbia facility in 1992, creating 42 jobs. This was the first time the airport was used for mail distribution. 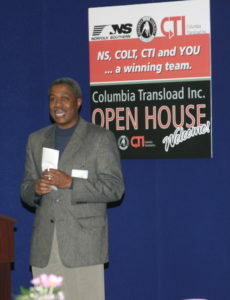 A REDI team worked with GTE as it merged with Contel to retain communications jobs in Columbia, and to continue GTE/Contel’s state headquarters in Columbia. In 1992, REDI’s fifth year of operation, REDI boasted 53 investors and began to see the results of its work through success attraction and expansion projects. OTSCON, a new auto parts manufacturing plant, a joint venture of the Orscheln Copmany and Otsuka Koki Ltd. Of Yokohama, Japan, announced it would construct a new auto parts manufacturing plant in Boone County. OTSCON’s $4.4 million created more than 50 jobs. 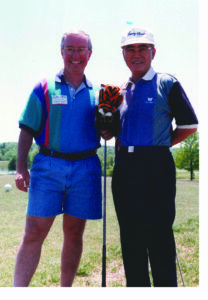 The attraction project was completed after Bill Watkins traveled to Japan to meet with company executives personally. REDI helped secure a Community Development Block Grant for Industrial Development, the first that had been given in Boone County in 10 years. The grant provided sanitary sewer construction and road improvements for the OTSCON plant on Route Z. Blue Cross Blue Shield announced it would expand and move its regional headquarters to Columbia. Lone Star Airlines began service from Columbia Regional Airport to Dallas/Fort Worth. Money Magazine ranked Columbia as the nation’s second most livable city. 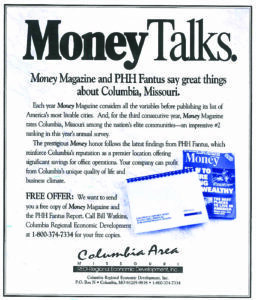 PHH Fantus, at the time the nation’s largest site selection consultant, reported that Columbia is a great place for white collar business. REDI publicized these kudos in ads promoting Columbia. A REDI delegation again visited Japan, and REDI hosted a dinner in Chicago to for Japanese executives. Members of the REDI team included Mary Anne McCollum, Jeff McClellan, Ray Beck, Howard Keister, Bill Watkins, Rick McDowell and Hank Waters. Summit Polymers, a supplier of plastic extrusion components to Davidson Instrument Panel, (a previous REDI attraction project,) announced plans and broke ground on a manufacturing facility in Boone Industrial Park, creating 50 new jobs. 3M broke ground on a $43 million expansion investment, adding 80,000 square feet and creating 50 additional jobs. REDI helped secure the investment, with Columbia competing with 3M’s Austin and Singapore locations for the expansion. Environmental Dynamics Inc. expanded to a larger facility on Paris Road. OTSCON held its groundbreaking ceremony. OTSCON continues to operate its plant in Columbia today, with a workforce of 135. 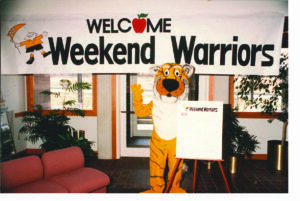 Continued weekend warrior program, holding events twice a year. Organize a Task Force to prepare an area-wide strategic plan to coordinate and improve employee training programs. Attract additional passenger air service to Columbia Regional Airport. Work with the Missouri Innovation Center to create a venture capital fund for local small businesses. Identify health-care strengths and develop strategies to attract new health care related business. Help organize efforts to attract retail opportunities for Centralia and Ashland. Develop a specific, comprehensive community PR campaign. Devise a strategy to address the area’s perceived labor shortage. In 1993 it was reported that all but number one of these tasks were in progress or completed. Today, many of these points are still a focus of REDI, with the exception of retail, which we at this time do not include in our strategic goals. Ironically, working on employee training programs, which was noted they had not done at the time, is probably REDI’s strongest current focus among these listed. 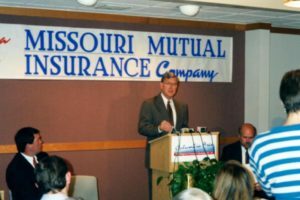 Governor Mel Carnahan announced that Missouri Employers Mutual will locate its new public-private insurance agency in Columbia, creating 200 jobs. Initially located in Woodrail Centre, MEM currently employs 291 at its Keene Street location. 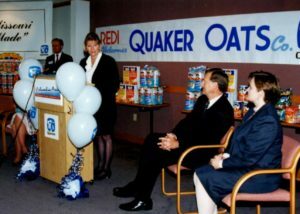 In September 1994, Quaker Oats Company announced its decision to build a 105,000 square foot manufacturing facility on Route B in Columbia, to produce caramel rice cakes for distribution throughout the Midwest. 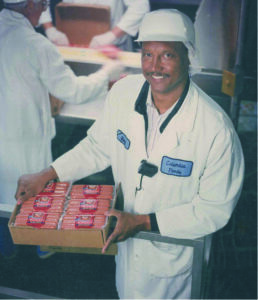 With an initial investment of $20 million, Quaker Oats created 143 new jobs. OTSCON held an open house for its new facility on Rangeline Road. 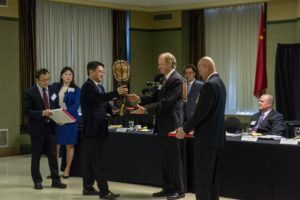 The company president traveled from Japan to Columbia for a customary tree planting ceremony, a luncheon, and a round of golf. 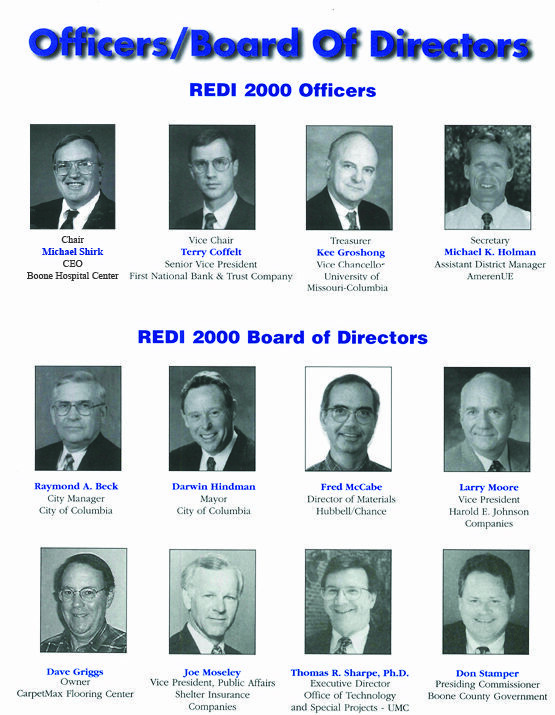 REDI in 1995 had increased its number of investors to 60. Quaker Oats held an open house for its new facility. At the event, they announced plans to expand the facility, a $10 million investment that created an additional 75 jobs. Quaker Oats continues its operation today with 219 employees. 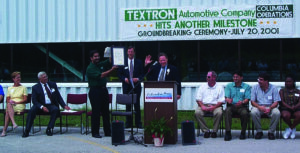 Textron Automotive Interiors, previously known as Davidson Instrument Panel, an early REDI attraction project, expanded to employ 450 employees in 1995. Cole Hartford moved into a 50,000 sq. 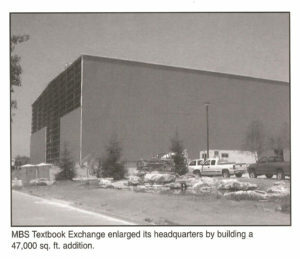 ft. spec building in Concorde Industrial Park on LeMone Industrial Blvd. The new facility distributed disposable paper and plastic products. Creating 25 jobs. REDI worked with six banks to facilitate a financial package that enabled the construction of the spec building. MiTek Industries moved a portion of its manufacturing operations to Columbia, manufacturing metal connector plates at its 86,000 sq. ft. facility on Boone Industrial Drive, creating 40 new jobs. REDI recruited the company to locate in this existing facility. Great American Products moved its assembly operation from Chicago to Boone County, after the company’s president made a short stop here and decided he enjoyed the area’s quality of life. REDI met with the company to tour the area during its decision making process. 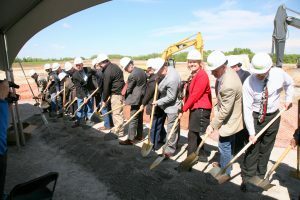 Datastorm Technologies broke ground on its new $8 million, 150,000 square foot facility on LeMone Industrial Blvd. MFA began construction on its new company headquarters in Columbia, a 72,000 sq. ft. building. MFA currently employs 241. REDI added Public Relations Director Melody Parry, Public Relations Consultant John Blakemore and Graphic Designer Roger Volstorf to the staff. 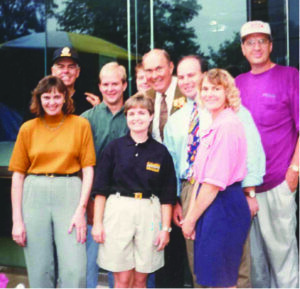 One result of REDI’s increased public relations efforts was visit by Willard Scott to the U.S. National Hot Air Balloon Championships being held in Columbia, where he promoted Columbia on the Today Show. 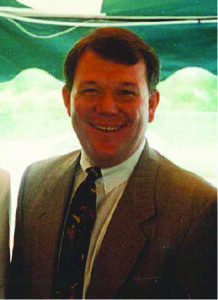 In December 1995, Bill Watkins was named Assistant City Manager for the City of Columbia. Although this was an excellent choice of the City, it did require him to move on from his position at the helm of REDI, where he had excelled and brought much success during REDI’s crucial first five years. Rick McDowell, formerly the REDI marketing director, was named REDI Executive Vice President after a nationwide search. REDI was accredited by the IEDC for the first time, only the third organization in the United States to be named as an AEDO at that time. IEDC accreditation requires a renewal every three years. 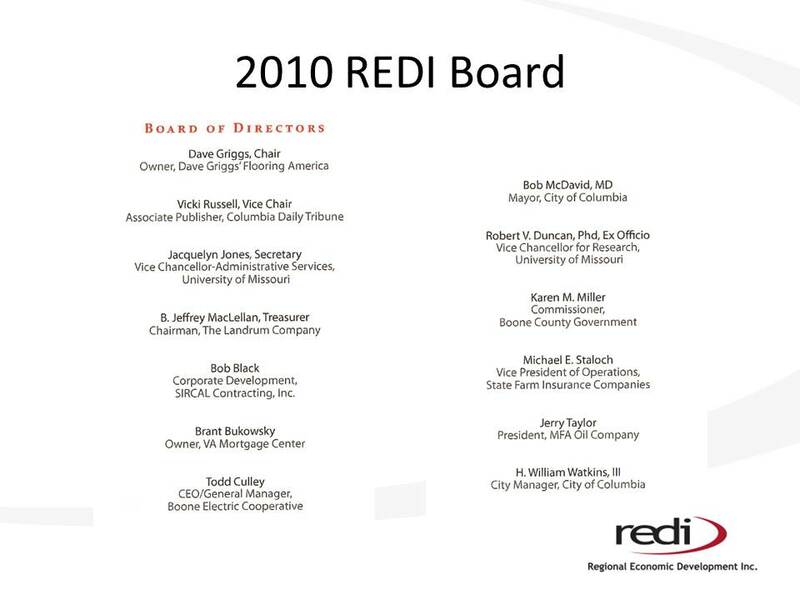 After REDI was initially accredited, it was renewed multiple times. Unfortunately, one renewal period came up at a time REDI was between presidents. Without permanent leadership in place the accreditation could not be renewed. REDI applied and was again accredited in 2017. 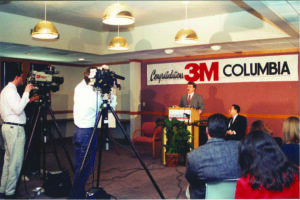 3M announced a $40 million expansion, increasing the size of the plant and adding more than 80 new jobs over the following two years. 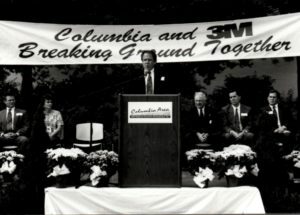 3M currently employs more than 444 at its Columbia plant. 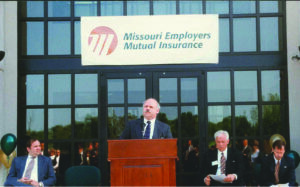 Missouri Employers Mutual dedicated its new corporate headquarters in Woodrail Centre, to house its 200 employees. REDI worked with legislators and MEM Board members to bring the MEM location to Columbia. MEM currently employs 291 at its newer facility on Keene. Quaker Oats completed its expansion of its new rice cake facility, adding 75 jobs. REDI helped the company meet its aggressive construction schedule. 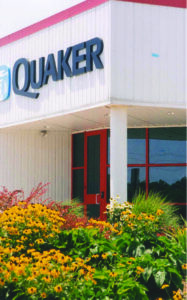 Quaker currently employs 219 at this location. Idelman Telemarketing opened a call center in Parkade Center with plans to hire up to 200 employees. Integral Resources located an office in Columbia with plans for 60 employees. 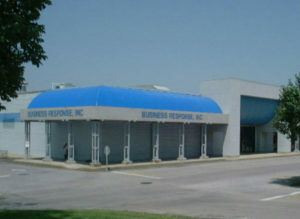 Now named Business Response, the company still operates in downtown Columbia. Love Box Inc., a corrugated Box maker, leased a 20,000 square foot warehouse in Columbia. Datastorm Technologies merged with Quarterdeck , when the two Columbia entrepreneurs who founded the company sold it for more than 70 million dollars. REDI assisted Datastorm in locating the 50 new telemarketing sales positions that the merger created. Operating on LeMone Industrial Court, Datastorm developed and published ProComm and Pro Comm Plus, pre-World Wide Web software. As part of its workforce development initiatives, REDI planned the first Mid-Missouri Career Link employment fair with 95 businesses that attracted an unexpected 1,450 job seekers. The event also included 1,500 eighth graders who met with business leaders to discuss occupations. 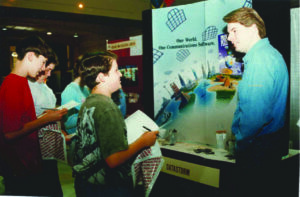 Each of the participating business’s booths had placards that listed the jobs performed at each company, including jobs from mechanical engineer to marketing mangager to line cook. The students were prepared before the event about what questions could be asked to learn more, and they visited each employers booth to learn more about all those jobs. This event was so successful that it continued in later years but broken into two events. 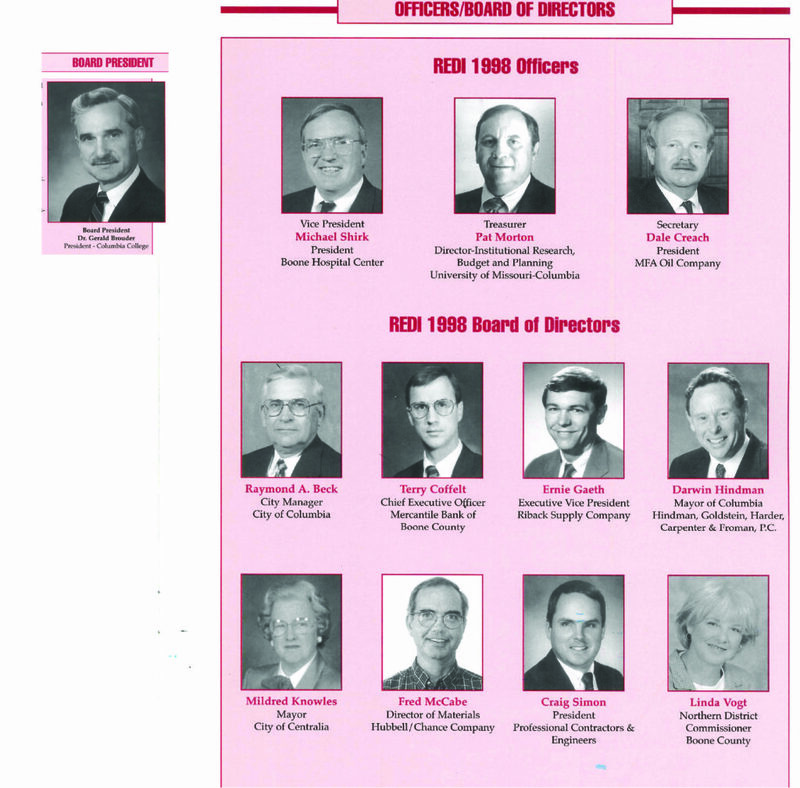 And also in 1996, Mr. Bernie Andrews was hired to join the REDI staff. 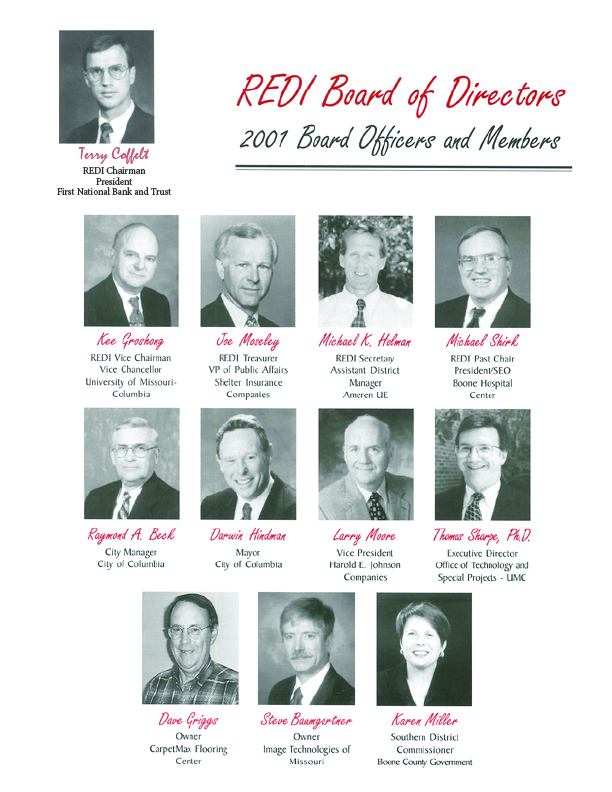 Bernie’s first title with REDI was Senior Economic Development Specialist. He had previously worked for the Missouri Dept. of Economic Development. Bernie was hired to research, market and generate potential businesses into the area, as well as work with existing businesses, all of which he has done successfully as well and much, much more in his current position as Executive Vice President. In 2017, Bernie was named the Missouri Economic Developer of the Year by the Missouri Economic Development Council. REDI reviewed the Economic Development Master Plan first written in 1988 and previously updated in 1992. For the first time, the public was included in the process. More than 40 community members sat on committees, and public forums were held on each committee topic. Topics included sites, utilities, quality of life, labor, incentives, workforce development, business expansion and development (specifically including start-ups), and tourism. Documents were drafted and sent to investors for approval. Strengths outlined in the plan included the area’s quality of life, transportation opportunities and utilities; Weaknesses included labor availability in some areas, lack of incentives at the state level, and limited air passenger service. as Kraft-Heinz, which just completed a modernization of the plant with plans to continue its operation here for many years. 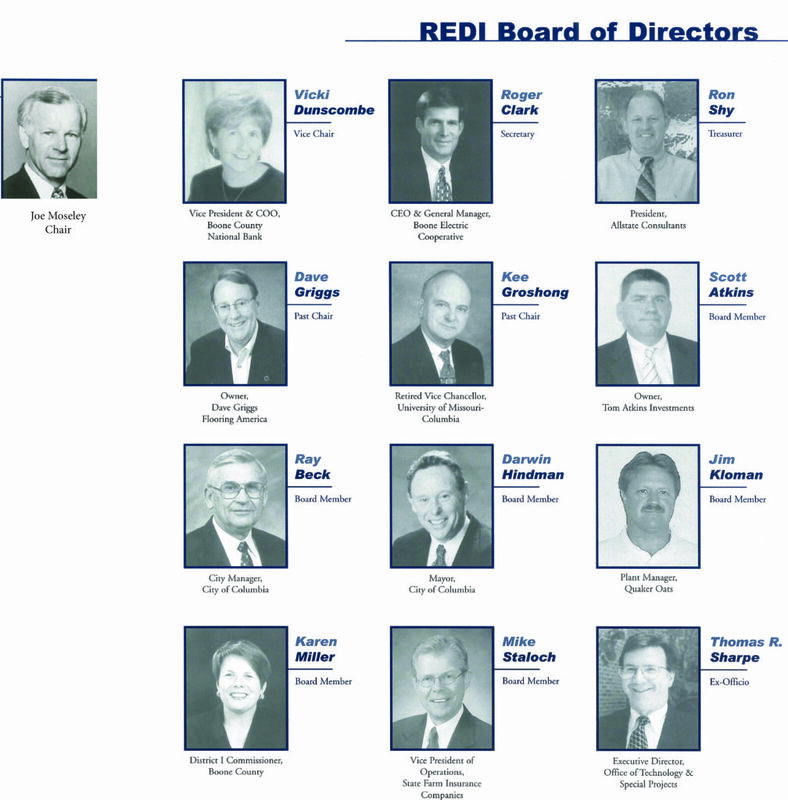 REDI celebrated its 10th anniversary, and placed a special focus in 1998 on workforce development. REDI sponsored a Boone County Labor Survey and Needs Assessment to obtain information to help identify local labor and training activity needs. 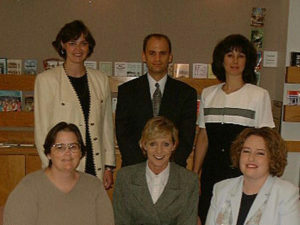 BooneWorks was formed to address welfare reform and workforce issues. After workforce development committee meetings for the Economic Development Master Plan, a consortium was formed of Boone County, REDI, Division of Family Services, Advent Enterprises, Job Center, Division of Employment Security, Columbia Area Career Center and the Columbia Chamber of Commerce to identify gaps in service in order to develop community-based solutions. The organization paired community service organizations with business and educational organizations. 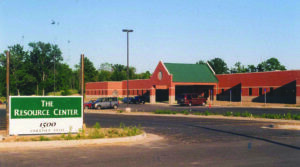 Shelter Insurance constructed a $5 million, four-story, 50,000 square foot addition to its West Broadway headquarters. Shelter continues to employs more than 1,100 employees. OTSCON added 16,000 square feet to its facility. OTSCON currently employs 135 in Boone County. REDI helped ABC Labs secure a Community Development Block Grant to make sewer line improvements to enable expansion and the creation of 21 additional jobs. ABC Labs, now under the ownership of AEG Laboratories, employs 372 at its two Columbia/Boone County locations. REDI’s PR efforts continued with media coverage of Columbia’s rankings, kudos and events. Coverage was included on the Today Show, USA Today, Southern Living Magazine, Money Magazine, Kiplinger, Christian Science Monitor, and Fortune Magazine. This picture shows some staff and friends with Willard Scott of the Today Show, here in Columbia at the hot air balloon competition. Ozark Air Lines announced its decision to return to Columbia Regional Airport’s runways with round trips to Chicago. Ozark worked with REDI, the federal and state governments, Boone County, the City of Columbia, and private businesses to secure its service. As a result of the Labor and Needs Assessment the previous year, REDI came to represent businesses on the new Community Child Care Consortium of 30 public and private organizations. The consortium’s goal was to improve the quality, availability and affordability of child care in Boone County. BooneWorks received a $4.3 million U.S. Department of Labor grant and grew to be housed in a new one-stop shop building on Vandiver . BooneWorks continued to examine and provide services in the areas of housing, food, health care, transportation, child care, mentoring, education and training. 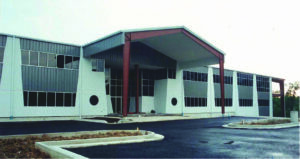 Summit Polymers, a 1993 expansion project, moved into a newly constructed 35,000 facility in Boone Industrial Park. Infinite Graphics of Minneapolis located an office in Hallsville, assisted by REDI in its search for a clean room. Hubbell Power Systems in Centralia completed construction of a 370,000 sq. ft. state-of-the-art distribution center. Hubbell currently employs 580 at its Centralia location. Rick McDowell resigned as REDI’s Executive Vice President to take a post in the Kansas City area. 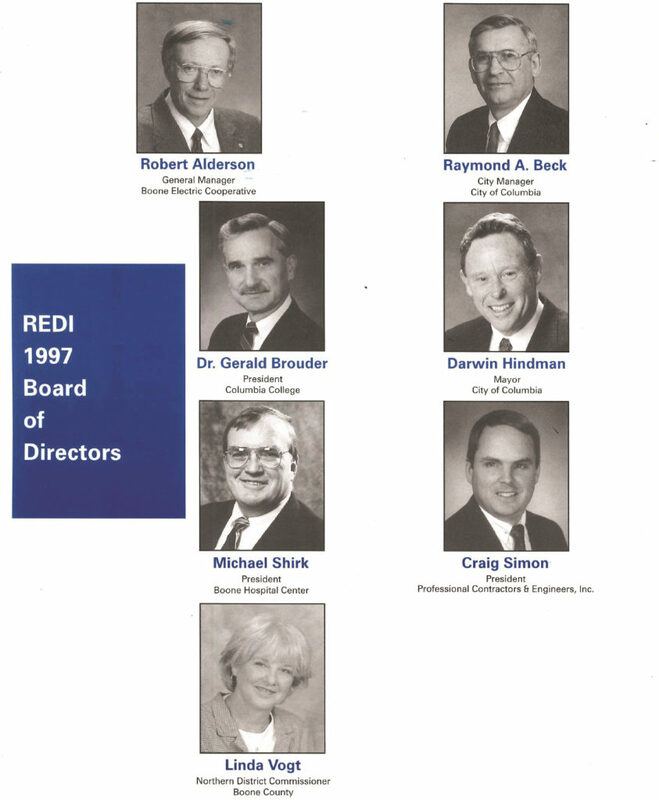 And finally in 1999, REDI teamed with the University, the Missouri Innovation Center, and the University’s new Office of Technology and Special Projects, which assisted researchers with patenting, development and commercialization of marketable products and applications. Dr. Thomas Sharpe was named as the Executive Director of the office, and he was also appointed to the REDI Board. Future plans include a business incubator facility for startup research-to-market companies to be located next to the MU Research Reactor. After working with REDI on site selection for about a year, Miller’s Professional Imaging announced it had selected Columbia for the home of its digital services bureau, with plans to create 60 new jobs. Ozark Air Lines began service to Chicago. Reports proudly announce in May 2000 that enplanements had reached 1,160. Enplanements in May 2018 have topped 11,000.
Business Response doubled its telemarketing space in Parkade Plaza, expanding to employ 175. This company still operates, now in downtown Columbia. MBS expanded its Ash Street location with a 47,000 sq. ft. warehouse addition. MBS today employs more than 800. REDI teamed with Moberly Economic Development Commission and the Jefferson City Chamber of Commerce to create the Mid-Missouri Technology Corridor. 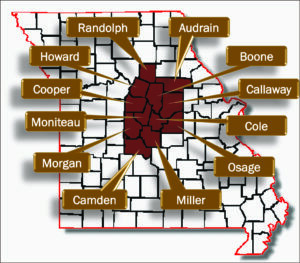 This effort promoted the counties of Randolph, Boone and Cole to technology companies, supported by a grant from the Missouri Department of Economic Development. For the first time, REDI engaged the Docking Institute of Public Affairs to conduct a Labor Availability analysis and a Labor Skills Assessment. 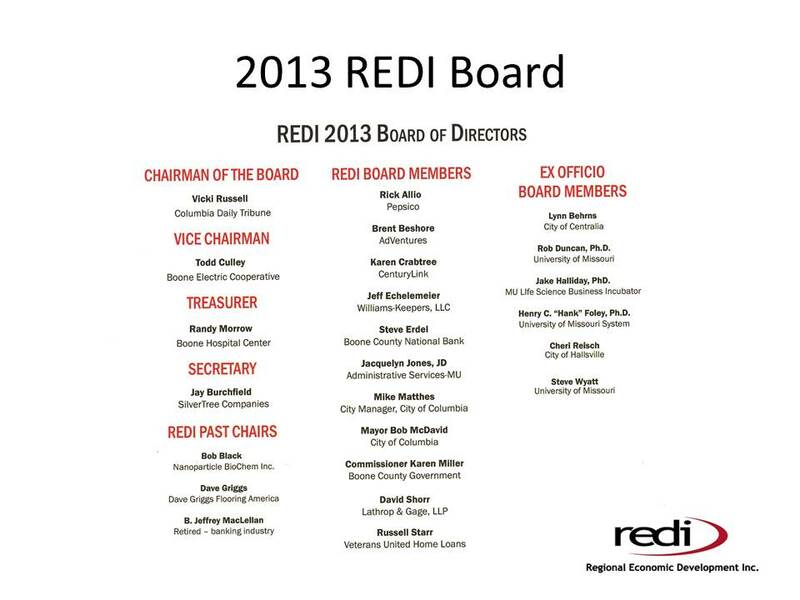 Vicki Pratt was named REDI REDI President. This brings the staff to six, with Bernie Andrews as Marketing Director/Senior Economic Developer; Melody Parry as Public Relations Consultant, Genalee Baker as Public Communications Assistant; Michele Holmes as Executive Assistant; and Jamie Kochert as Office Assistant. A photo from our archives, taken in 2000 by a REDI staff member, shows both Air Force One and Air Force Two parked next to each other at Columbia Regional Airport. The planes had landed at COU carrying President Clinton and Vice President Gore, who then traveled by car to Jefferson City to attend the funeral of Governor Mel Carnahan. 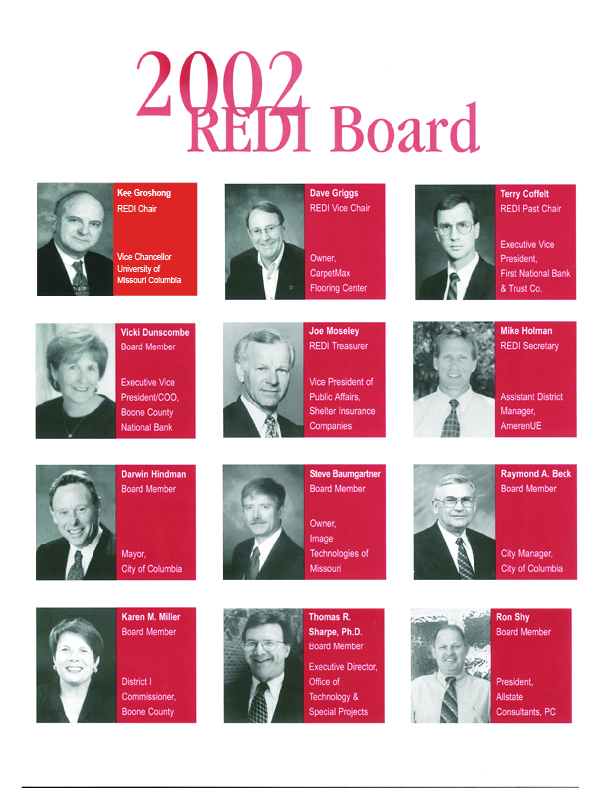 2001 was the first year REDI investors were listed by business name rather than personal names. 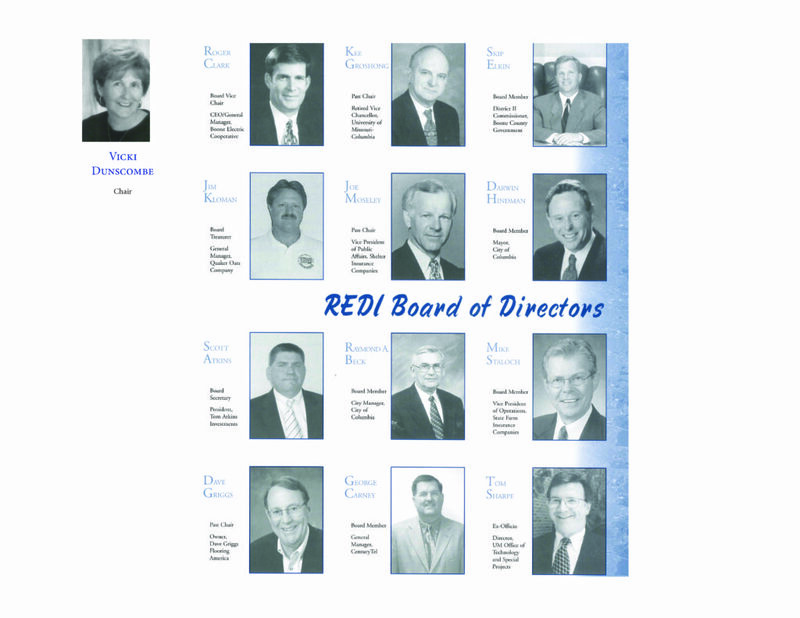 In May 2001, REDI launched its first website. 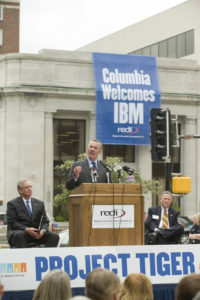 To celebrate and promote the website, REDI launched its Destination Columbia campaign. 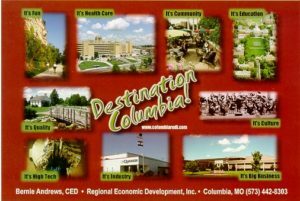 The campaign included mailers showcasing the many good things Columbia has to offer. REDI sponsored a groundbreaking ceremony at the Textron facility. Textron expanded its plant by nearly 64,000 sq. ft., for a planned increase from 250 to 400 employees manufacturing automobile instrument panels for Ford and Chrysler, and after the expansion, Lincoln and Mitsubishi. OTSCON broke ground on its third expansion, to increase its capacity by 18 percent. 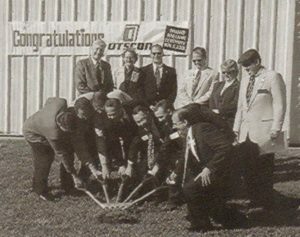 A REDI attraction project in 1993, OTSCON had more than tripled its employee base. OTSCON currently employs 135. The Gates Rubber Company announced it would relocate part of their Power Transmission Division to LeMone Industrial park in Columbia, a $15 million investment creating 100 jobs. Gates would produce tensile cord and mixed rubber compound, both essential for the manufacture of power transmission belts. Gates sited the area’s educated workforce, excellent location and quality of life for its decision. REDI supported a feasibility study and development of a business plan for the construction of a technology transfer incubator facility at MU, and continued to work to secure funding for the proposed facility. Ashland annexed 1000 acres east of Highway 63 in the area of Columbia Regional Airport, and rezoned it commercial and industrial. That land is now the site of the Cartwright Business and Technology Park. REDI studied the need for additional site development at the Columbia Regional Airport. REDI partnered with other businesses to hold the Mid-Missouri Jobs Fair. 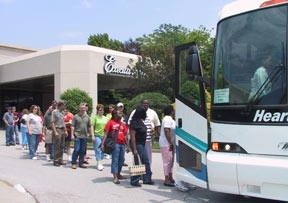 REDI hosted a job fair in Jefferson City to help 297 employees who lost jobs when the Maytag plant halted production. 130 Maytag employees attended. As a member of the Mid-Missouri Regional Planning Commission’s Economic Development Committee, REDI worked to identify future development opportunities for Boone County and the Mid-Missouri area. The committee designated life sciences/biotechnology, information technology, agribusiness and financial services as the target industries for future growth, with the Columbia area noted as well suited to becoming a critical player in the planned I-70 biotech corridor. 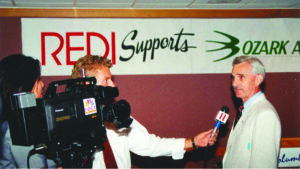 In 2002, REDI introduced its new logo. At the time it was explained that the “swoosh” was to show REDI was all-encompassing; a professional organization with a wide understanding of economic development and the economic environment of Columbia and Boone County. REDI distributed a direct mail piece, an 8-minute CD, Pedaling Columbia, directed to corporate decision makers, real estate professionals and site selection consultants. The video featured two actors with a bicycle cab, one riding the bike and one sat in a a seat up front, and they told each other about all the things they like about Columbia. In the end, Columbia Mayor Darwin Hindman pedals them both off into the sunset. REDI began marketing to seniors at Columbia College, Stephen’s College and the University of Missouri, also with a video on CD, to retain this vital workforce in Columbia. The video was geared toward graduating seniors that focused on Columbia/Boone County’s excellent job opportunities and great nightlife. The Economic Development Master Plan for 2002-2007 was adopted after months of investor-led committee meetings and work that included input from Ashland, Centralia and Hallsville. REDI’s embarked on its first formal recruitment effort to seek out additional investors. American Air Filters underwent reconstruction to enable the facility to manufacture in a clean room environment, in 2002 employing 175 employees. AAF continues to employ more than 200. Industrial Textiles, a supplier of Gates Rubber Company, relocated to LeMone Industrial Park, creating 20 new jobs. Industrial Textiles is still in Columbia now on Boone Industrial, but I do not have any employment numbers for them. 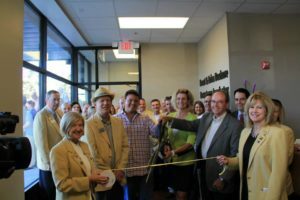 REDI hosted a ribbon cutting for Millers Professional Imaging and its $10 million, 40,000 sq. foot facility on East Pointe Drive. Production had begun in 2001 with 75 employees. Current employment reaches 108 during peak seasons. 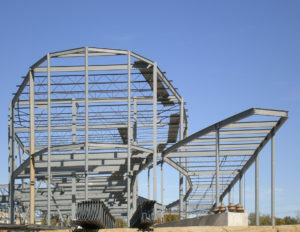 Subtera Underground Warehousing, a division of Conn-Agg of Missouri LLC, opened in 2002. Prost Builders, Inc., Show-Me Transportation and Integrated Logistics Management Solutions partnered to build and operate a rail to truck transload warehouse facility for the Columbia Terminal Railroad (COLT). Life Sciences Business Coalition was formed, Jake Halliday as chair. REDI, the Chamber of Commerce and others came together to form a business-led initiative focused on maximizing the economic benefits for our community from advances in the life sciences industry. Mid-MO Bio, a joint effort of Columbia, Booneville, Fayette/Howard County, Fulton and Jefferson City formed to market the area to life sciences companies. A direct mail campaign to more than 200 CEOs of life sciences companies was delivered. A REDI Board retreat is convened to discuss the issue of incentives and to educate the Board on what incentive programs are available in Missouri and which communities use them. As a result of the retreat, The REDI Incentives Subcommittee is formed to study the various incentive options and make a determination whether any of these programs might be helpful to Columbia/Boone County’s economic development efforts. After the full time investor recruitment program was launched the year before, in 2003 REDI reaches a record mark of 65 investors. SPARC – Scientific Partnership and Resource Connection – is formed by REDI and Office of Technology and Special Projects, and MU Life Sciences to bridge the gap between what happens in the lab and what happens at the business level. City of Columbia joined the Mid- Missouri Regional planning Commission (MMRPC), allowing the university the opportunity to apply for partial funding of federal EDA grant money for the Life Sciences Incubator project. Hubbell Power Systems moved into a new industrial addition at their downtown Centralia facility, creating 50 new jobs. REDI helped Hubbell to take advantage of state training aid and development incentives. Hubbell currently employs more than 500. CARFAX built a new office building/data center in LeMone Industrial Park, and celebrated its grand opening with a ribbon-cutting. The facility was then home to 61 employees. Carfax continues to have a data center here in Columbia, but the headquarters has moved to Virginia after the company was bought by a series of larger companies. REDI was involved in infrastructure issues, and sat on the I-70 task force, the Storm Water task force, the Chamber Highway Transportation Committee and in other organizations around the community. For the first time, REDI leadership facilitates discussions with officials of the school district, county, city, and chamber regarding tax incentives. 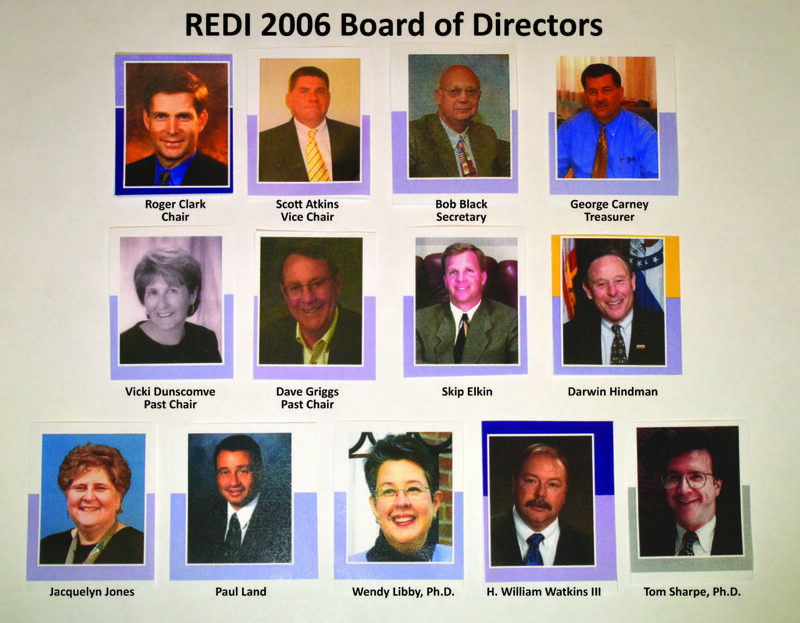 In December 2003, the Incentives White Paper approved by the REDI Board. The policy was prepared only as a recommendation by REDI, as the city or county governments are the authorities that must adopt the program. Vicki Pratt departed REDI to return to her home state of New York. REDI Board Chair Dave Griggs was named Volunteer of the Year by the Missouri Economic Development Council. 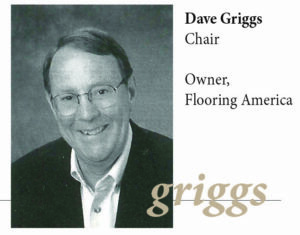 The selection committee was most impressed with Griggs’ ability to bring people together from throughout the community to talk openly about new and sometimes controversial tops, such as tax incentives. REDI embarked on its first Investment drive, resulting in 34 new Class B investors each committed for three years. 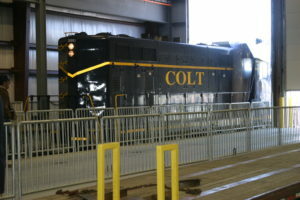 In January of 2004, the Columbia Terminal Railroad, COLT, opened its new 84,000 sq. ft. storage and transportation facility on North Brown Station Rd. Incentives work took a big step when Columbia Public Schools decided to participate in further revisions of the Chapter 100 Bonds policy proposed by the Incentives White Paper approved by the REDI Board in December of 2003. The University of Missouri, under the direction of System President Elson Floyd, named economic development as its fourth mission. The first Economic Outlook Conference took place with presenting sponsor Williams Keepers LLC, who continues as the Presenting sponsor today. In February 2004, State Farm announced its decision to maintain its Columbia facility and add 350 jobs, filled locally and from its Regional Operations Center in Monroe, Louisiana, as well as 50 other smaller claims office were being closed. REDI had prepared a detailed proposal outlining the advantages to State Farm of doing business in Columbia in hopes of retaining this facility. REDI then hosted State Farm Relocation Weekends for State Farm employees new to the area, including community fairs, bus tours, evening dinners and panelists from surrounding communities. The Life Sciences Business Coalition made recommendations for a small research and technology park. REDI and the City then worked with the MU College of Agriculture, Food and Natural Resources to determine whether a technology park of less than 50 acres could be accommodated on the South Farm property along Hwy. 63 in Southeast Columbia. REDI supported the development of Flat Branch Park with a $6,000 donation over three years. The REDI Board approved to fulfill a request from the Enterprise Development Corporation (EDC) of $20,000 for the purpose of establishing a microloan program for small business owners. 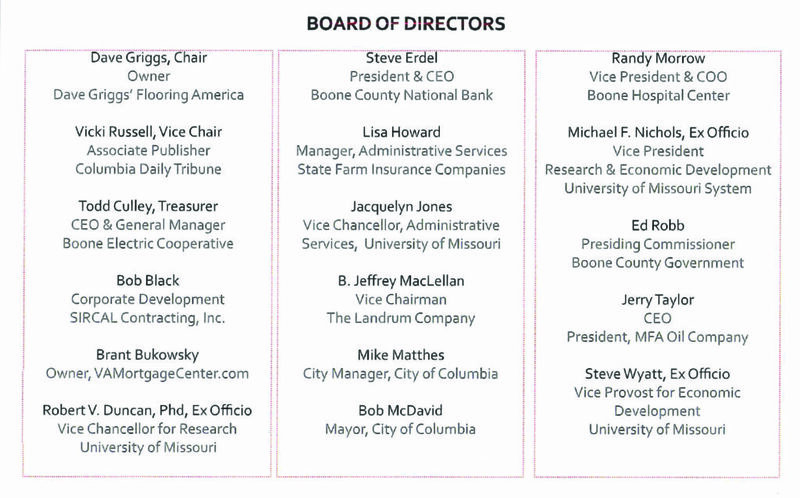 The loan review committee included Bill Lloyd, currently a member of the REDI Board. Hubbell added 50 jobs in Centralia. 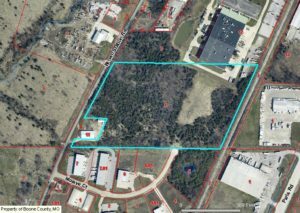 Hallsville annexed 6.5 acres to be named Key Industrial Park. The City of Ashland and the City of Centralia adopted Chapter 100 policies. A local survey showed 64 percent of city residents were very supportive or somewhat supportive of incentives; and less than 12 percent were not supportive. And in October 2005, nearly three years after REDI Incentives Committee held its first meeting, the Boone County Commission approved a Chapter 100 Revenue Bond Policy for Boone County. Centerstate Crossing, which included Bass Pro, opened in March 2005. Shoppes at Stadium announced new tenants would be joining the Famous Barr that opened in 2003. Broadway Shops at Hwy. 63 and Broadway were newly opened and growing. May 2006, the University of Missouri announced that 114 acres of the South Farm would be developed into Discovery Ridge Research Park, a place for high-tech companies to collaborate with university researchers and other private businesses. REDI staff participated in numerous planning meetings for Discovery Ridge and was designated to market the park as a location for businesses, work that continues today. ABC Laboratories became the first tenant of Discovery Ridge Research Park. The $14.4 million, 90,000 sq. ft. facility allowed ABC to more than double its capacity to support pharmaceutical and chemical product development by providing many of the testing services required by the FDA, EPA and other regulatory bodies. 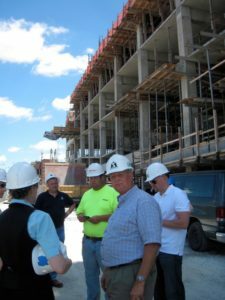 ABC reported that 90% of its construction budget will be awarded to local subcontractors. Also in May 2006, REDI received the first application for Chapter 100 Revenue Bonds from ABC Laboratories. 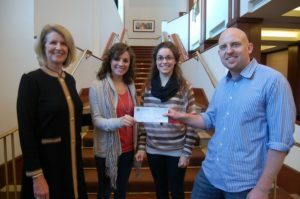 Fundraising continued for the Life Sciences Business Incubation Center near the MU Research Reactor. Square D/Schneider Electric reported another year of increased volume of goods, resulting in a 70 percent sale increase since 2003. REDI’s Industrial Land Committee began meeting in 2007 to ensure that Columbia/Boone County had an adequate inventory of industrial land as development continued throughout the city and county. ABC broke ground on its facility in Discovery Ridge Research Park. Dana completed two new assembly lines, allowing for manufacture of rear axles for Ford models, increasing employment by 100 to 375. 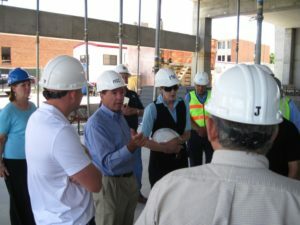 On May 18, 2007, construction began on the MU Life Science Business Incubator at Monsanto Place, a $9 million, 33,000 sq. foot wet-lab incubator. RADIL (Research Animal Diagnostic Laboratory) announced plans for a new facility at Discovery Ridge Research Park. Premier Paper and Packaging Inc., relocated to Columbia. Engineered Plastic Components Inc. expanded to Columbia, creating 65 jobs. REDI implemented a new Reverse Site Selection Program, inviting national site selectors to Columbia on a quarterly basis to meet face to face with REDI staff, tour Columbia, its sites, buildings and other community assets, and visit with community leaders. Site selectors were then asked report back what Columbia and Boone County could to improve its economic development programs. Mesa Air Group, Inc. provided air service to Columbia Regional Airport with 12 flights each to Kansas City and St. Louis. 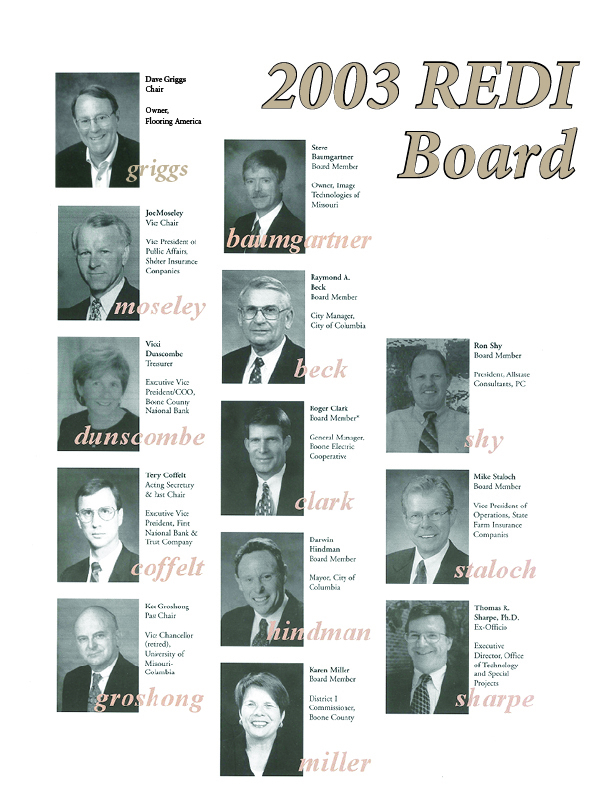 In 2008, REDI had a change in traditions in that it no longer presented photos of all Board members. Only the Board Chair is now bestowed with that honor. 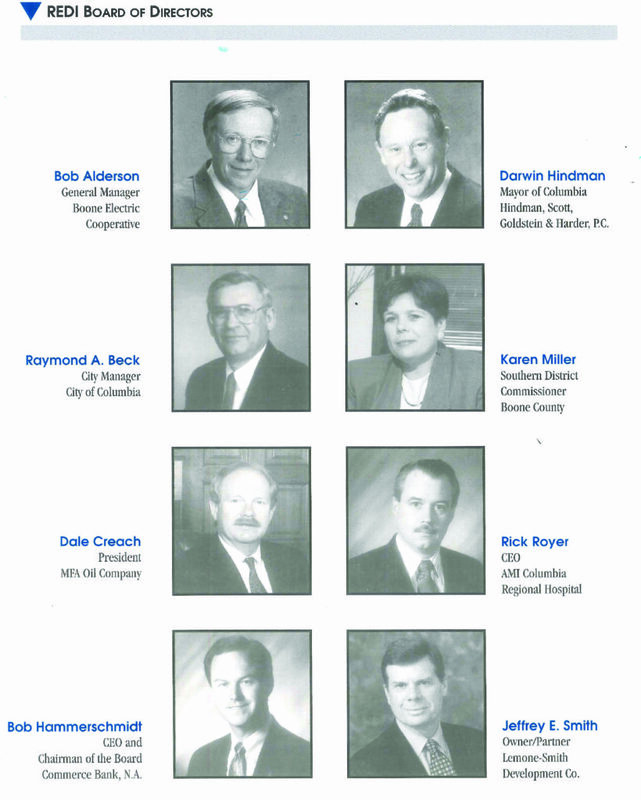 In March 2008, at the urging of REDI’s Industrial Land Committee, and after Bernie Andrews, who at that time was serving as REDI President, presented a report on the previous ten year’s location and expansion projects detailing the need for competitively priced, shovel ready sites, the Columbia Area Jobs Foundation was incorporated. CAJF was created to assist in providing shove/ready sites for prospective employers to encourage location in Columbia and Boone County. CAJf could enter into agreements with landowners, purchase land titles, lease property and accept land donations or money, allowing CAJF to resell land at cost. Later that year, CAJF acquired property east of Columbia off Route Z north of I-70 as a prospective industrial site. 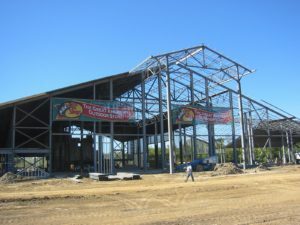 That was another seed planted, as ten years later, that land is now the site of American Outdoor Brands distribution center currently under construction. 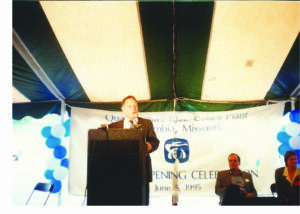 October 2008, Ewing Industrial Park became Columbia’s first Missouri Certified Site. Missouri Certified Sites was a new state program to provide consistent standards regarding the availability and development of commercial and industrial development sites. REDI received two $50,000 grants from the Boone County Industrial Development Authority (IDA), a program to fund programs that benefit the citizens of Boone County with an emphasis on job creation and job training. The money was used to create a Flexible Incentive Program to help attract new employment for Boone County residents. Newsy.com, a company of Media Convergence Group, relocated its headquarters from California’s Silicon Valley to Columbia, locating right across the street from the Reynolds Journalism Institute. Newsy produces video clips that compile news from multiple outlets around the world. REDI helped Newsy find investors and office space; and helped them acquire funding from Centennial Investors and the Missouri Department of Economic Development. Newsy was the first recipient of funds from REDI’s Flexible Incentive Program created from IDA grant funds. REDI’s ability to help Newsy acquire investments and locate office space in a short amount of time was a large factor in Newsy’s choice of Columbia for its relocation. REDI Board of Directors approved the use of REDI funds to support the newly formed Missouri CORE Partnership. A this time, CORE worked to support and promote a 12 county region – Boone, Audrain, Callaway, Camden, Cole, Cooper, Howard, Milller, Moniteau, Morgan, Osage and Randolph Counties. 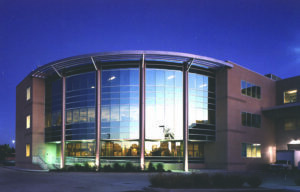 And finally in 2008, ABC Labs moved into its new Discovery Ridge facility where it housed 200 employees, with 100 employees remaining at their original site. ABC today is now EAG Laboratories, and employs 372 in Boone County. 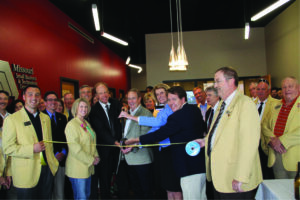 On January 5, 2009, The MU Life Science Business Incubator at Monsanto Place officially opened for business. Also in January, REDI joined the Kansas City Area Development Council (KCADC), which managed the Animal Health Corridor from MU to Kansas State University in Manhattan Kansas. The Animal Health Corridor housed 34 percent of the global industry for animal health at the time. 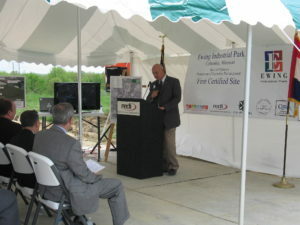 In May 2009, the Missouri Department of Economic Development announced that Ewing Industrial Park would be the first Certified Site in Missouri. Grindstone Investments had purchased the 280 acre Ewing site, and completed the extra work to certify 109 acres, in response to the need to address a lack of larger shovel-ready building sites in Columbia and Boone County. The University of Missouri announced that Discovery Ridge would expand to five times its originally proposed size, to create space for other high-tech companies that complement the University’s research. In June 2009, the Boone County Commission approved a request from REDI and CAJF to rezone 210 acres off Route Z from agricultural to light industrial. That land today is the site of American Outdoor Brands. 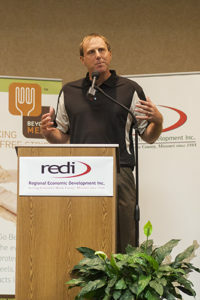 July 2009, Mike Brooks joined the REDI staff as President. On May 17, 2010, IBM announced that Columbia was chosen for a new technology service delivery center. This attraction project included coordination between the City of Columbia, CAJF, a consortium of local banks, as well as the state, to offer an incentive package that brought IBM to town. The REDI collaboration already in place really made this large attraction project possible, as it could never have been put together so quickly if the proposal was being built from the ground up. Employment at IBM reached a peak of 600 employees and then dipped, but it is currently growing and best estimates are that employment is currently around 400. 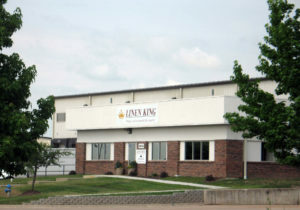 In May 2010, Linen King announced it would open a facility in Columbia, creating 30 jobs. REDI facilitated meetings between city departments to make this project possible. 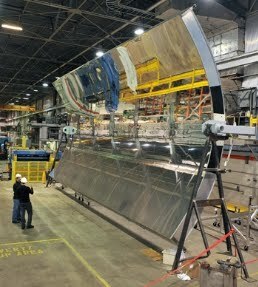 3M announced a $20 Million investment to begin production of Ultra Barrier Solar Film. REDI convened the Mid-Missouri IT Workforce Summit in partnership with the University of Missouri and CORE to address the growing demand for IT workforce in mid-Missouri. REDI co-hosted the Economic Gardening and New Media Event with Reynolds Journalism Institute to support the Mizzou Advantage business models. 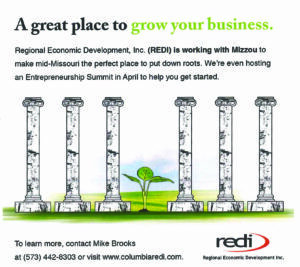 REDI began to increase its focus on entrepreneurship, and ran ads promoting the area as a good place to grow a business. A new dues structure was introduced for REDI investors, creating the tiered investment levels we have today. 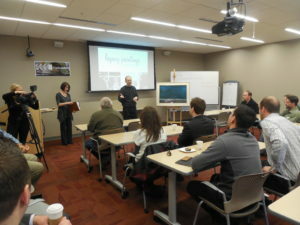 The very First Quarterly Investor Breakfast was held Nov. 30, 2010. A proposal was prepared and submitted to the City of Columbia for REDI to lease the ground floor of the new parking garage. The downtown location was sought to be more accessible to Columbia entrepreneurs and business owners. Survey to 1000 respondents, 80 percent indicated they had a Facebook or LinkedIn account, so REDI created a Facebook page. In February, REDI presented its first Entrepreneurship Summit, a day- long event to help entrepreneurs at various states. As part of the event, sixty entrepreneurs submitted business ideas to compete in the Boon County Idea Bounce Competition. The 1st place winners were Bailye and Brynne Stansberry, with their TwoAlity clear rain boots with interchangeable liners. In March 2011, The Sutter Industrial Site was named a Missouri Certified Site. In May 2011, IBM held ribbon cutting to celebrate its newly renovated location. 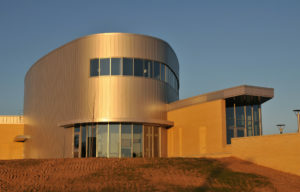 October 2011, Discovery Ridge Research Park was designated a Missouri Certified Site. 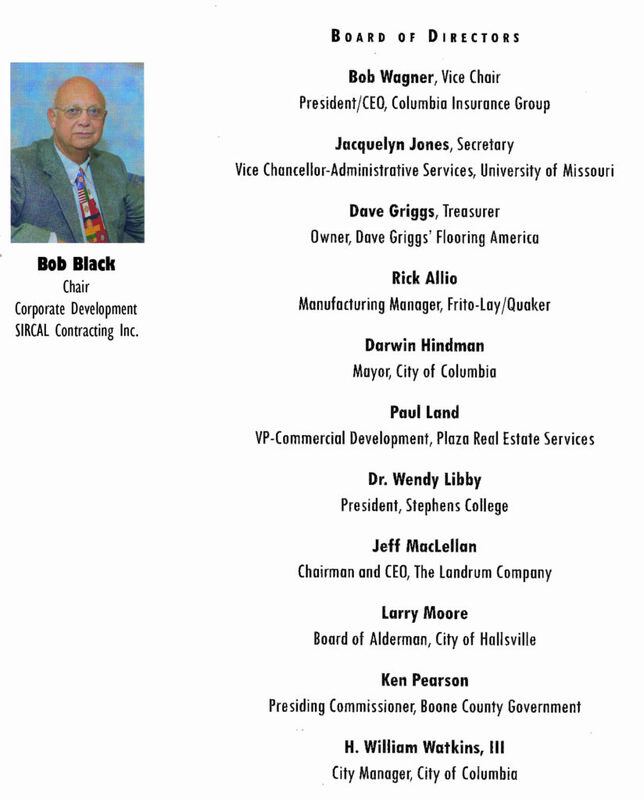 In the fall of 2011, after several months of research and study, the REDI Board approved forwarding to the City of Columbia and Boone County a recommendation to form an Enhanced Enterprise Zone in Columbia/Boone County. EEZ is a state program designed to create jobs by offering state tax credits and partial abatement of local real property to new and expanding businesses that meet specific criteria and create good-paying jobs. Columbia had lost 1500 manufacturing jobs between 2005 and 2011, with no industrial building permits issued over that time, and it was determined that an EEZ could turn this trend around. At the time of the proposal, there were 119 EEZ zones in Missouri. 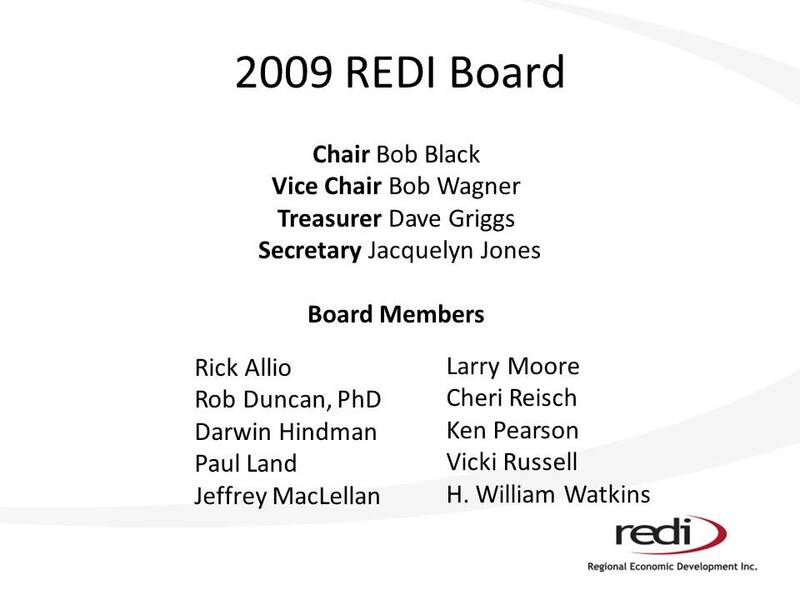 Finally, in 2011, REDI’s move to 500 E. Walnut was approved and the buildout of the REDI offices began. The space was designed to have five REDI offices, two workstations, conference rooms, a training room and room for collaborators to also have offices. Many generous supporters donated specifically to the relocation effort by sponsoring rooms and areas of the office. REDI moved into its new offices in December. 3M announced an expansion of its solar film line, creating 50 new jobs. Beyond Meat, a cutting edge company using local research and innovative technology, announced it would establish a production plant in Columbia. Beyond Meat is a great example of leveraging intellectual property from the University to create jobs and awareness that Columbia is an exciting place to do business. Beyond Meat held a ribbon cutting ceremony in November. On April 27, REDI celebrated with an open house and ribbon cutting for its new office space here at 500 E. Walnut. In September 2012, REDI launched the Downtown Incubator, to serve as an affordable 24-hour office space for entrepreneurs. The incubator was designed to focus on stimulating technology entrepreneurship, offer opportunity to assess technology, markets and management; planning, financing and product research and development; developing businesses plans and securing startup and growth capital, and mentoring and accommodation for startup firms. Throughout 2012, REDI promoted the EEZ program. REDI worked with the City of Columbia, two EEZ Advisory Boards, neighborhood associations, civic groups, and others to make recommendations on the geographic boundaries of the proposed zone, eligible companies, qualifying jobs and investment amounts. Community opposition to the state-mandated terminology of “blight” and other concerns could not be overcome. 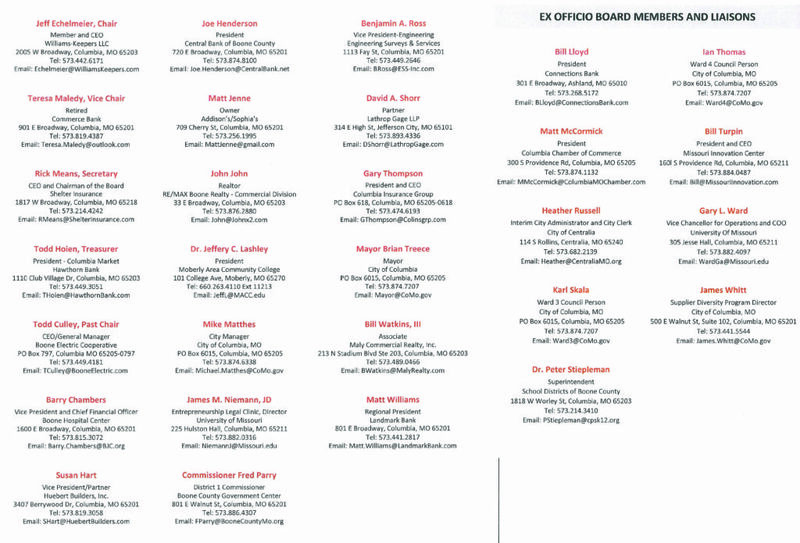 In December, the REDI Board voted to ask the City of Columbia Council to rescind the ordinance that established the EEZ Advisory Board, and REDI’s promotion of the EEZ proposal was dropped. Centralia did go on to create an EEZ in Boone County that has been successful in attracting investment. 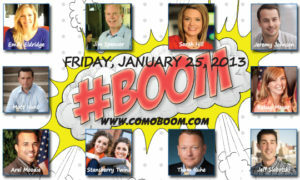 In January 2013, REDI presented the third entrepreneurial summit, now named #Boom. Sarah Hill emceed the event; and CAT-TV aired a three-camera shoot of the event. The #Boom pitch competition was held in April as a separate event. July 2013, Boone County designated as a Work Ready Community in process. The CWRC program is designed to strengthen local economies and give a can competitive advantage in attracting business and new jobs. Boone County was given a two-year window to accomplish the goals of certification, which included promotion of the National Career Readiness Certificate across several workgroups and requiring more than 100 businesses to supporting the effort. 1 Million Cups launched at REDI on August 7, 2013. It celebrated its fifth anniversary just this morning. Columbia was among the first dozen communities to participate in 1 MC, there are now 180 communities participating. 1MC was originally held in the training room, but is not in the HUB due to its size. BioPharma announced in November it had chosen Columbia as the location for its expansion of clinical operations in the U.S. BioPharma conducts specialized clinical trials for international pharmaceutical companies and biotech companies from U.S., Canada, Australia and Europe. Nanova, a Columbia start-up technology company, secured a $6 million investment from SummitView Capital. REDI co-hosted a government delegation from Wujin Economic Development District of Jiangsu, China, one of China’s top high-technology industry development zones. In fall of 2013, Mechantronics was first offered at Moberly Area Community College. The program was designed as a result of collaboration prompted by REDI investors stating a need for high level technical electrical and mechanical skills for its employees. 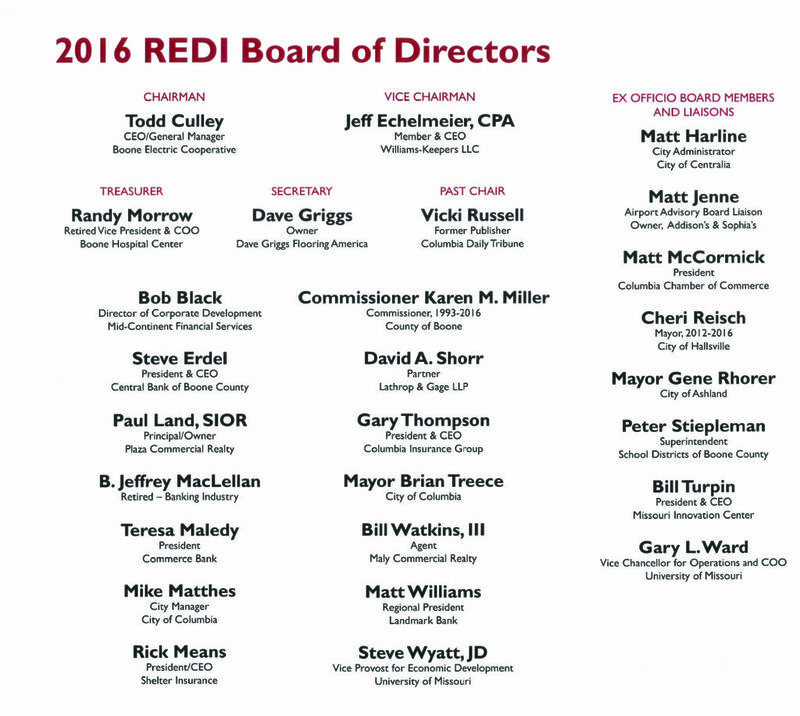 And also in 2013, REDI celebrated its 25th anniversary, with an event that brought back many of REDI’s earliest supporters. 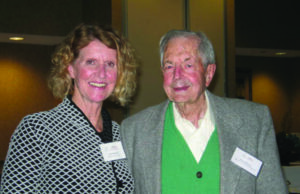 Pictured here is Vicki Russell, who was the Chair of the Board in 2013, with David Horner, who was a founding Board Member of REDI. The milestone was also commemorated with souvenir coins that are still available in the gift shop if you’d like one. 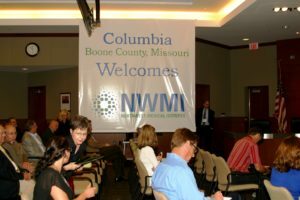 Northwest Medical Isotopes selected Columbia for its U.S. production facility, announced May 8 at an event at City Hall. The facility will be produce moly-99, used in medical scans for cancer, heart disease, bone and kidney disease. Along with the announcement ceremony, REDI hosted a reception for REDI investors, company officials and other dignitaries. 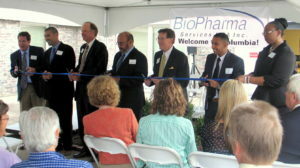 In October 2014, BioPharma Services Inc. held a ribbon cutting to celebrate its new 48-bed, 11,000 sq. ft. laboratory and clinical facility, a $500,000 investment creating 40 new jobs. 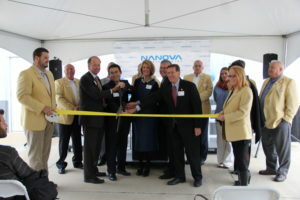 Also in October 2014, Nanova Biomaterials Inc. celebrated a ribbon cutting and grand opening of the company’s new location in Columbia. The event gave a first look at Nanova’s 6,000 sq. ft., $1.5 million facility which includes a research and development lab, production area, and office space. Nanova uses nanotechnology to manufacture orthopedic and dental products and continues to grow. 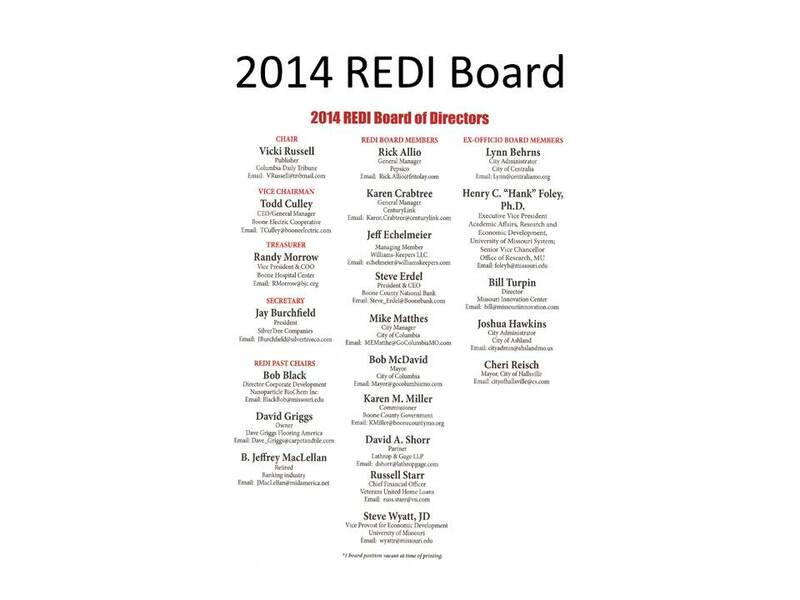 And finally, REDI President Mike Brooks announced his retirement, effective at the end of 2014. 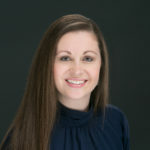 REDI began its year as Stacey Button arrived in town and began her duties as REDI President and City of Columbia Director of Economic Development. Stacey embarked on a listening tour 22 sessions with 28 public, private and non- profit organizations. REDI President’s Coffee Klatch debuted. REDI staff worked to streamline its strategic goals, producing a new website, branding and marketing focused on the strategic priorities of Attract. Expand. Grow. Boone County Commission approved Chapter 100 Revenue Bonds for a $100 million expansion and modernization at the Kraft Heinz Columbia Foods plant. The project would retain the plant and 350 jobs. Kraft Heinz chose to increase production at the Columbia plant at a time when it closed several other Kraft Heinz facilities, making the Columbia plant the sole processor of Oscar Meyer hot dogs. Boone County Commission approved Chapter 100 Revenue Bonds for an expansion of the Dana Light Axle plant in Columbia that began production in 1988. Also in 2015, Shannon Hance joined the REDI staff. In 2016, the REDI Innovation Hub was renovated, restructured and renamed, with a ribbon cutting in April. REDI’s quarterly events were restructured from breakfasts to afternoon meeting and mixers. Stacey and Bernie were named co-chairs of city’s Strategic Plan Economy Team. Nanova secured a $19 million investment, bringing its jobs created to 62. Collin Bunch hired as entrepreneurship coordinator. And in December 2016, Boone County was named a Certified Work Ready Community. On March 2, American Outdoor Brands announced it will build a distribution center in Boone County, a $55 investment that will create 150 jobs. April 14, Aurora Organic Dairy announced it will construct a dairy processing facility in Columbia, breaking ground in May on a $140 million facility that will create 150 jobs. 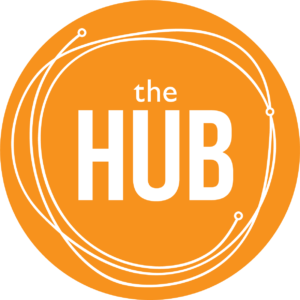 A new Hub logo was designed and signage hung at the Hub. REDI held the first Game Jam at Hub, which has become a popular event with Game Jam 4 planned for late 2018. 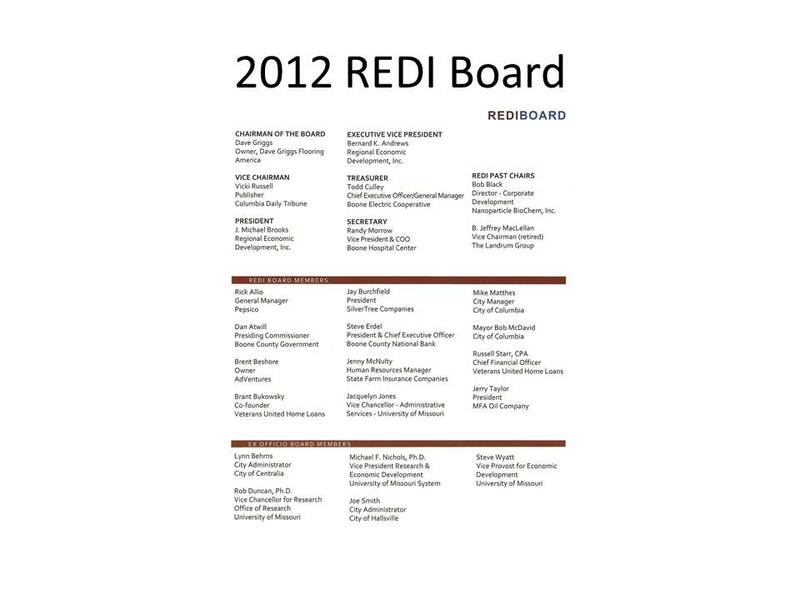 REDI earned Accredited Economic Development Organization Status from the International Economic Development Council. 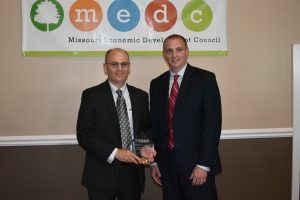 Bernie Andrews was named Missouri’s Professional Economic Developer of the Year by the Missouri Economic Development Council. 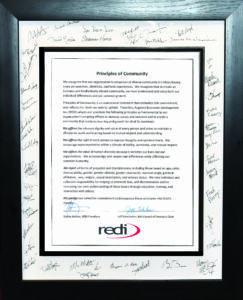 REDI signed the Principles of Community declaration to work toward inclusion in all that we do. REDI hosted a women’s pitch night to provide support to this dynamic demographic. REDI and the Business Loop Community Improvement District received a grant to promote small scale manufacturing as part of the effort to revitalize this important area of our community. REDI assisted MWMI in its Chapter 100 application to help this important manufacturing plant take root in Columbia. 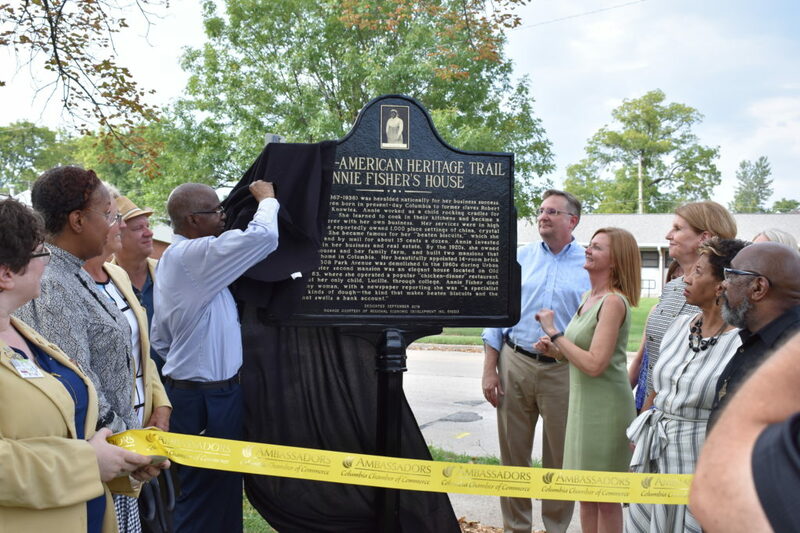 And REDI was honored to sponsor the marker on the African-American Heritage Trail that commemorates Annie Fisher, an incredible local entrepreneur who was successful at a time when all the odds were stacked against her. And that wraps up our review of REDI’s 30 years of partnerships and collaboration. 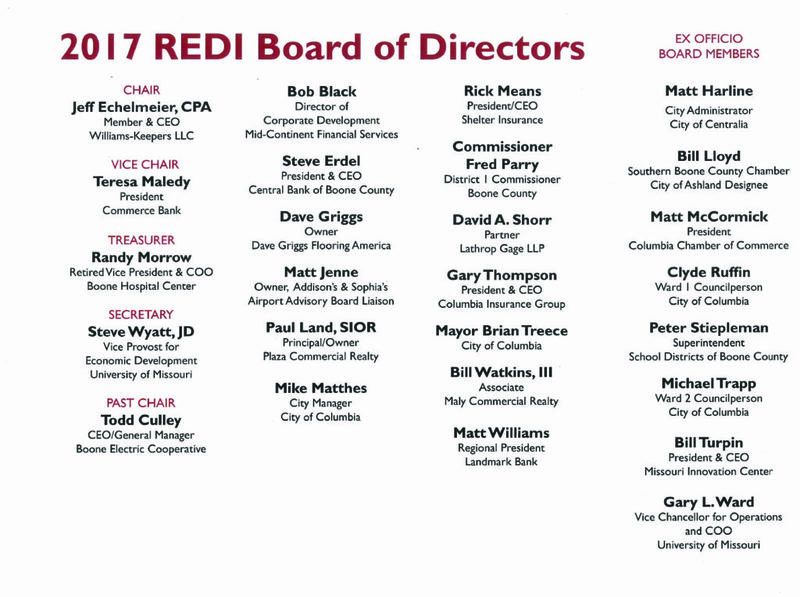 Thank you to all our investors, supporters, business partners, collaborators, and everyone who had a hand in helping REDI attract, support , and grow businesses in Columbia. REDI is a true collaboration that only succeeds with support and participation from across the community. Thanks for your part in creating jobs and working to sustain the economic vitality of Columbia and Boone County, Missouri.